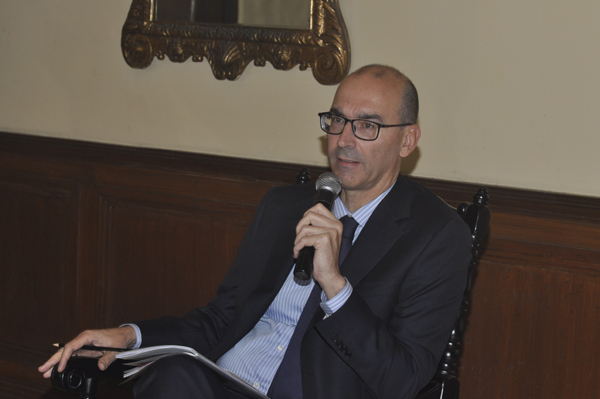 Kolkata, Jan 12 (IBNS): Italian Consul General in Kolkata Damiano Francovigh on Friday said his country will be participating in the upcoming Bengal Global Business Summit here as a partner country and a delegation of more than 30 companies are expected to join the event. "Italy is participating in 2018 as Partner Country in the Bengal Global Business Summit for the second year in a row, with an expected delegation of more than 30 companies where the sectors most represented will be transport and infrastructure, metals, leather," he said. This is an important development in the overall strategy for strengthening bilateral economic ties and follows the mission of Italian Prime Minister, Gentiloni, who visited Delhi last October: in that occasion it was agreed to inject a renewed momentum into the economic engagement between the two countries. The presence in Kolkata of the Italian delegation, that will be headed by Italian Ambassador Lorenzo Angeloni, is the first event of the year marking the common will to strengthen bilateral cooperation and opens the celebrations for the 70th anniversary of the establishment of diplomatic relations. "From last year participation in BGBS we have already noticed some important developments in the economic interaction between West Bengal and Italy and the announcement of the establishment in Kolkata of at least two new JVs between Italian and local companies: one in the railway sector and another in the IT sector. One more major Italian company, already operating in WB, has decided to renovate and expand their offices located in Kolkata," Italian Consul General Damiano Francovigh said. He said he expects to see more results after this year's participation in the event. "We hope that more results will be achieved after this year’s participation, with this regard we are glad to notice that a MoU will be signed in the Leather sector, for new technologies and training programs," he said. Speaking on Italian investments in India, he said: "There is a huge potential of growth for Italian investments in India, we are confident that more Italian companies will be interested in coming to West Bengal, following the efforts put by the State Government to improve local business environment and foster investment attraction. Initiatives like the BGBS are very helpful to that aim because contribute to make Bengal better known in the Italian business environment." The organization of the Italian delegation has been assured and coordinated by ArtValley. Some of the key persons are Paolo Gurisatti , representing the main national cluster for tannery and leather products (Vicenza), Alberto Cavicchiolo, organizer, Mauro Cibaldi, representing ASSOMET, Carmine Zappacosta, CEO Italcertifer, Federico Furlani, CEO SIMEM. What progress or developments have been made in business from last year's BGBS meet and what are the latest updates? Total volume of delegates attending? We are expecting more than 30 Italian delegates, representing both big groups and SMEs, which are the backbone of Italian economy. In any case, exact figure will be available only on day one of BGBS, on the 16th. The Head of Delegation will be the Italian Ambassador, H.E. Mr. Lorenzo Angeloni, who will attend the Summit. From which sector and company are delegates coming? As it always happens in occasions of this kind, it is a multisector delegation, where the sectors most represented are transport and infrastructure, metals, leather. What are the areas of interest they are seeking in West Bengal / What are the sectors they wish to invest in? Of course, all companies are interested to explore their respective sectors, therefore the business meetings and visits to local counterparts that are being organized for them are in the same sectors mentioned above. Who is leading the Italian delegation? The organization of the Italian delegation has been assured and coordinated by ArtValley. ArtValley, whose president is Ms. Francesca Bruni, is an organization that hosts projects and international forums for the promotion of specific cultural and geopolitical initiatives, with an extensive experience in Italy, the MENA region and India. As its main activity, ArtValley has organized exchange-platforms on various contemporary themes (intelligent technologies, new design and materials, new business sectors), with the aim of promoting crossover exchanges. Among the delegation’s key persons is Prof. Paolo Gurisatti, representing the national Association of industrialists and both the Industrial District of Vicenza and the Italian Leather District (the main cluster in the world for tannery and Leather products) and Eng. Lamberto Cremonesi of Crew, one the leading Italian engineering and architecture firms. Prof. Alberto Cavicchiolo is the main promoter of the whole, long term program named “Via Bengala” aiming to improve the interchange between Eastern India and Italy. 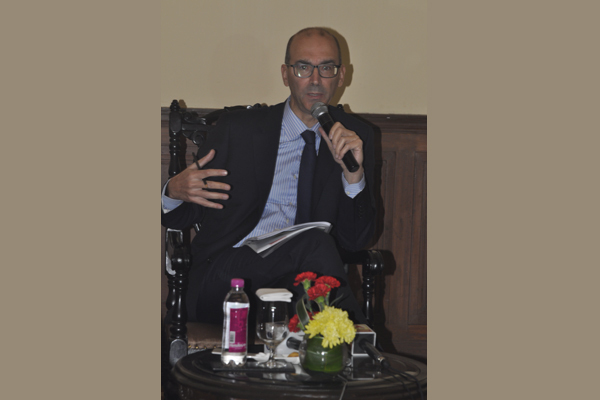 How much Italian investments in Eastern India can we foresee? It is very difficult to make any forecast of this kind, since in all market economies investments come from private entities and it is not up to any public entity, such as the MoFa, to allocate private funds in one direction or another. What we can say for sure it is that Italian outbound FDI share in 2015 was 1,9% of the world total, while Italian investmentsin India is only 0,69% of the Country total (around 2 billion USD stock). This means that there is a huge potential for growth of our investments in India in the next years: what we hope is that this additional growth potential will be directed to WB and initiatives like the BGBS are very helpful to that aim because contribute to make Bengal better known in the Italian business environment. Any Joint venture already operating from here? There are more than 400 Italian companies operating in India but, in the past, they have mainly decided to invest in other parts of the Country. In West Bengal, we currently have some JVs between Italian and local companies and 100% Italian investments operating in the manufacturing, food and chemical sector. We are confident that more Italian companies will be now interested in opening a presence in WB, following the efforts put by the State to improve local business environment and foster investment attraction.